In This Month’s Newsletter: Cheese, Street Party, Celebrity Chefs and Much More! Our latest Newsletter is out, and as usual, it’s full of food news you can use! 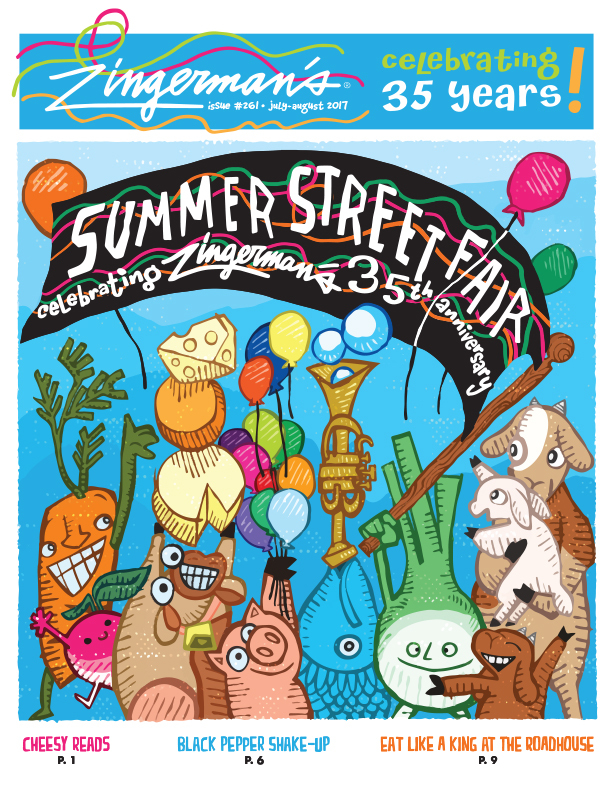 Check out Ari’s write up of Zingerman’s Creamery cheese, learn all about Tellicherry Pepper, read our Q&A with Jewish food historian and cookbook writer Joan Nathan, plus all the details about our upcoming Summer Street Fair. Come grab one at any ZCoB business or read it online right this second!